I have about 4 more steps until I'm done with my Anna Tunic. I didn't get as much time to work on it this weekend as I would have liked. 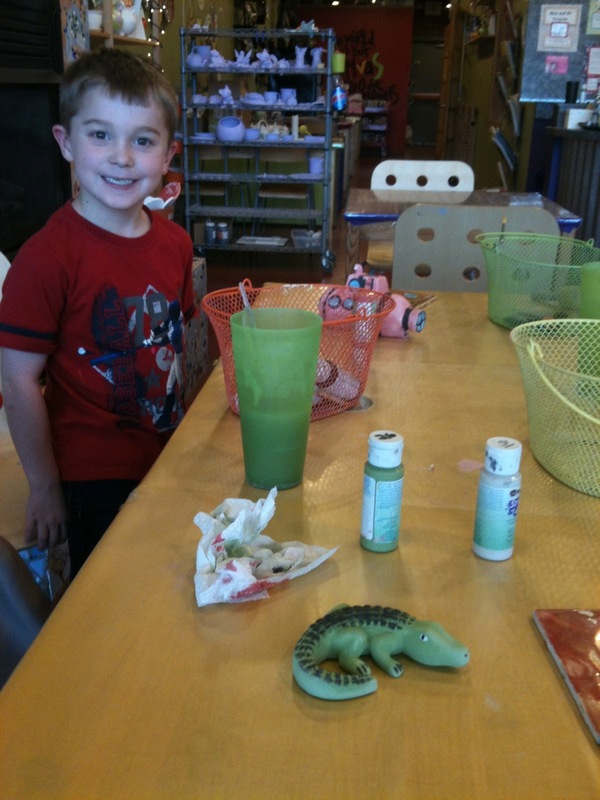 Ben painted a croc and Joe's working on a submarine. Grace painted a shark and I chose a little bowl. 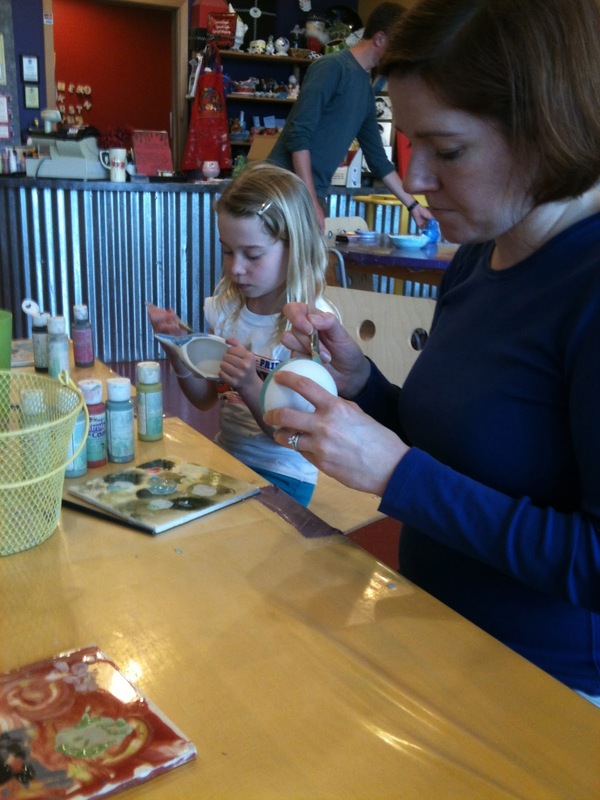 We have a week to wait and then we'll all have a piece of pretty glazed pottery.